I know a lot people say that first birthday are really for the parents and that the baby doesn’t really care or know what is happening. And I guess, some of that is true. But, I do think that they get something from it and I definitely was in favour of marking our daughters first birthday. Alice is an August baby and you would think that we should be lucky every year and have a lovely sunny day to celebrate her birthday. But, you know the english weather is not the most reliable and you definitely need a back up option. We decided that to celebrate Alice’s first birthday we would have a family get together, we don’t often get the chance to have both our families over at the same time and this felt like the perfect opportunity. Now, I love a list, who doesn’t? 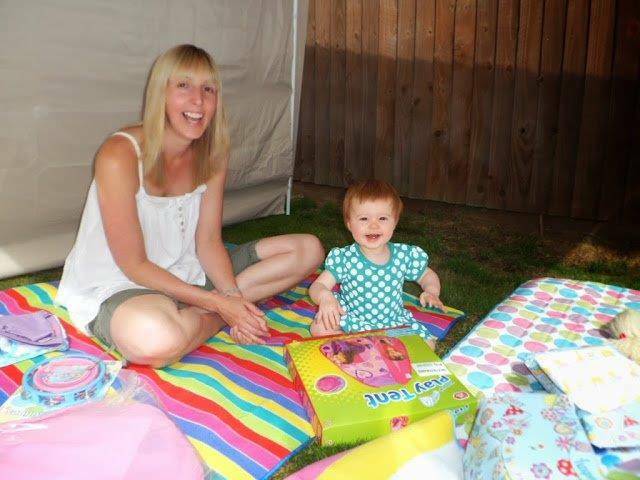 Plus, I love to plan and be organised, so arranging a first birthday party was like a gift to me. Because of the unpredictable weather I decided early on to go down the traditional party food route, we did think about having a barbecue, but felt that this could go wrong and I didn’t want the stress. Also, it meant that Alice could eat the same as us, which would be lovely as it was her party! I didn’t want to go overboard, but I did want to make some effort with the decorations. I found a lovely first party set, which included a banner, bib, bunting for a highchair and a hat. I brought some party plates, napkins etc because I knew my niece who was nearly two would love it too. I brought Alice a lovely green and white dress to wear to the party and couldn’t wait to see her in it. I decided early on that I wanted to make her first birthday cake and set about looking at what design to go for. 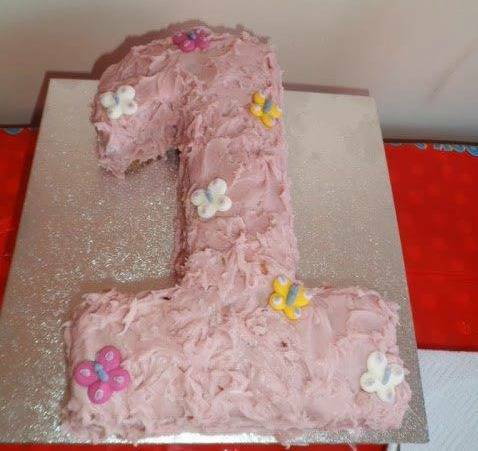 Alice wasn’t really into anything at this age, so I went for a number one shape cake with pink icing. I was really pleased with how it came out and it was Alice’s first taste of cake, and it was a hit! We were lucky that as the day approached it looked like it was going to be a beautiful summers day, which meant I could plan for us all to be outdoors. On the morning of the family party, we put the gazebo up to give us some shade to sit under and I decorated it with bunting that I had brought for Alice’s christening and balloons. The cake was made and the food was already. Our families soon arrived late morning and it was straight into unwrapping presents, with my two year niece jumping up and down eager to help. Alice was a lucky girl and got lots of lovely presents from her grandparents and my brother and sister in law. We decided to wait and give her our presents on her actual birthday. The cake came out and with some help from us the candles were blown out. Whilst Alice had a nap, I got to have some auntie time with my niece which was lovely and everyone else took five minutes rest from the craziness. 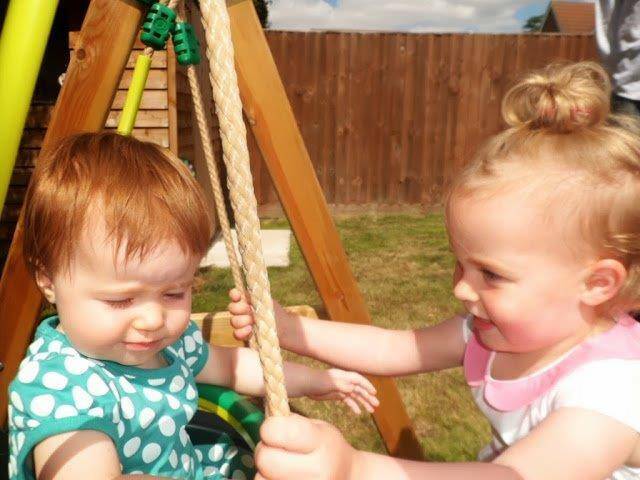 The day wasn’t complete without a go on the swing, with my niece giving Alice a push. It was such a lovely day and we were so lucky with the weather, I couldn’t have asked for more. A couple of days later, was Alice’s actual first birthday and Andy had taken the day off. Sadly we were not as lucky with the weather and it looked a bit unpredictable. We went to one of our favourite places, a local garden centre with a little farm attached. We took a picnic and prayed we would be able to sit out and enjoy it. 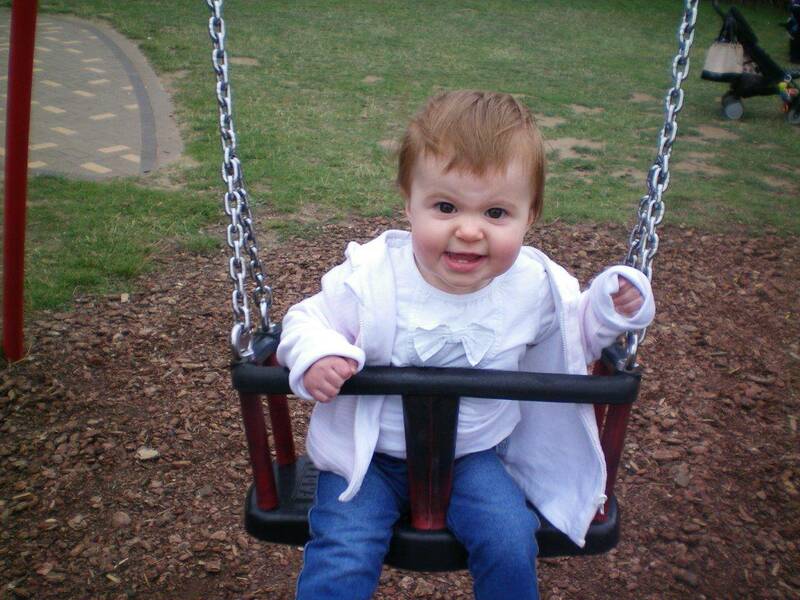 Luckily the weather held off long enough for Alice to see the animals, enjoy a swing and we even got to have our picnic. Then the grey clouds came over and we decided to head home, we got in the dry just in time. We came home and enjoyed playing with Alice’s new toys, relaxing as a family. 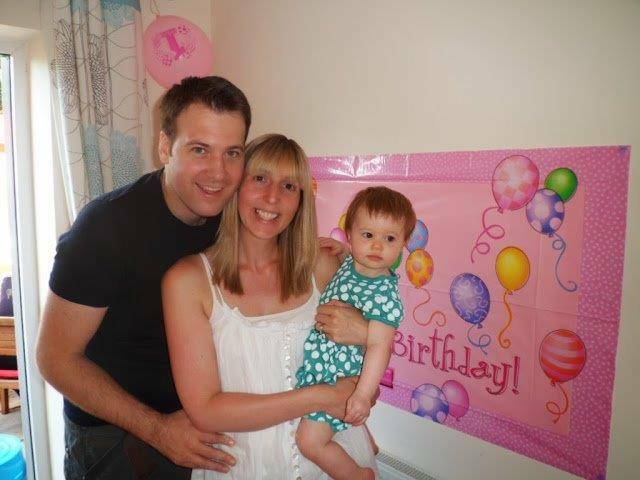 I look back at Alice’s first birthday with such fond memories…I can’t believe this year she will be four! 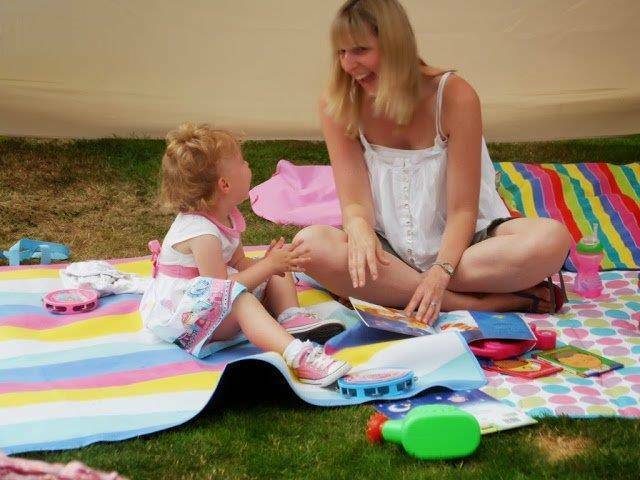 Next week I will be back with our First Holiday abroad…taking Alice on plane, eek! Oh what a lovely post, some great memories and photos to look back on. And I’m impressed with the cake! The Cake is brilliant Laura!!!! So pretty. I love looking back, it’s funny because time seems to go so slowly in some ways but then when you look back at moments like this, you realise how fast it goes. I really must stop wishing the days away sometimes! Alice is super cute, she had lovely chuby cheeks, they’re just the best! I love writing list and planning too! Sounds like a great day and good job on the cake it looks fab! Thanks, it tasted good too! 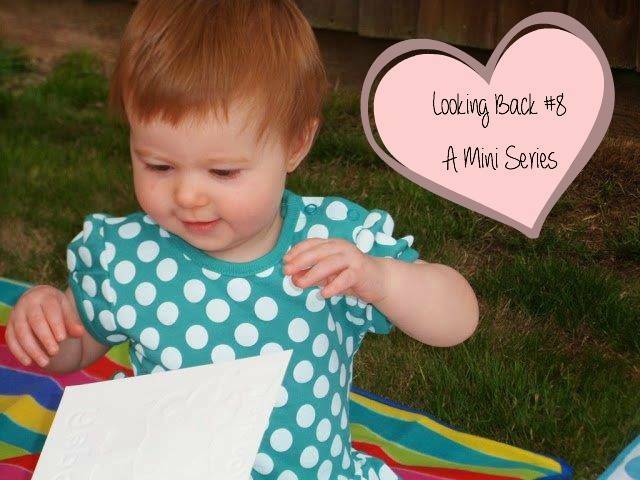 Aw I love looking back into Alice’s life, this first birthday post is what you should caption throwback Thursday! I don’t remember most of my birthdays lol but it is nice that Alice has some memories to remind her!